Registration is now open for The Chardon Schools Foundation’s (CSF) 2015 Firecracker Run: Race for Education 5K and One Mile – Fun Run/Walk. 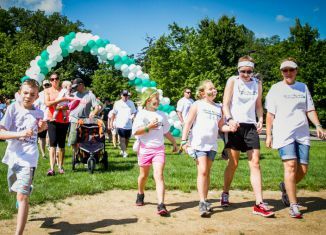 Maintain your training schedule or lace up your running shoes for this race-with-a-cause on Saturday, July 4, in and around Chardon High School. Improved online registration is open now through June 30 at the organization’s website www.chardonschoolsfoundation.org. After June 30, participants may only register in-person the day of the event beginning at 8:00 a.m. at the Alcan adjacent to Chardon Memorial Field. The first 200 paid participants receive a free drawstring backpack tote. 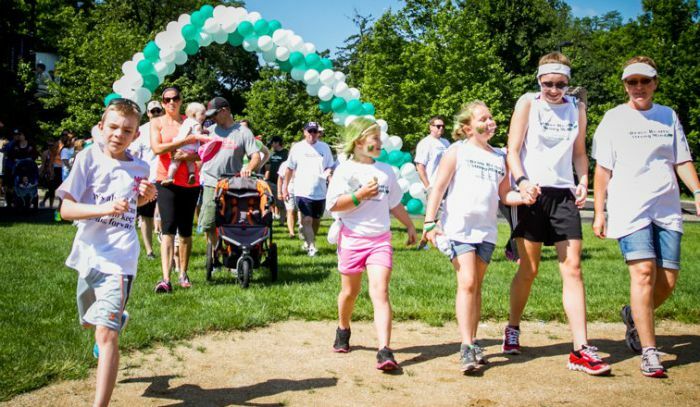 The 5K starts at 8:30 a.m. with the 1 Mile Fun Run/Walk following at 9:15 a.m.
All prizes will be awarded at the Alcan at 9:45 a.m. Medals will be given to men and women overall top 5K finishers and age group awards will be given in 10 different categories ranging from under 10 years to 70 years and over. The Race for Education is proudly presented this year by University Hospitals Geauga Medical Center. Additional sponsors include Precision Orthopaedics, MC Sports, and Foot and Ankle Specialties, all located in Chardon. The race includes an Early Bird Packet Pick-Up a week before the event. Participants will be notified. Interested runners and walkers may obtain registration forms as well as route information from the CSF website. Proud in the Crowd participation or folks who would like to cheer on their friends and family are encouraged to come watch. Bring your family, neighbors and friends! The Race for Education funds creative and engaging educational grants given by CSF to teachers in the Chardon Local School District. CSF is a 501(c)3 organization with over 25 years of support for our local school district. CSF grants approximately $20,000 annually. For more information about the Chardon Schools Foundation or to make a 100% tax-deductible donation, please visit us on the web and now on Facebook. Registration: Single Racer $25, after June 30, $35; Child Racer (12 and under) $15, after June 30, $25; Fun Run/Walkers $5, after June 30, $10.